SBI said users can avail the new cheque books via internet and mobile banking, ATM or by visiting the home branch. New SBI cheque books can be availed via internet and mobile banking, ATM or by visiting the home branch. Are you a State Bank of India (SBI) customer holding an account in its subsidiary banks? Soon, you have to get a new cheque book along with the Indian Financial System (IFS) code. The country's largest lender has asked the customers of its subsidiary banks to apply for new cheque books and IFS codes "as soon as possible". All the erstwhile associate banks of SBI and the Bharatiya Mahila Bank users need to upgrade their cheque books, the lender said in a tweet. 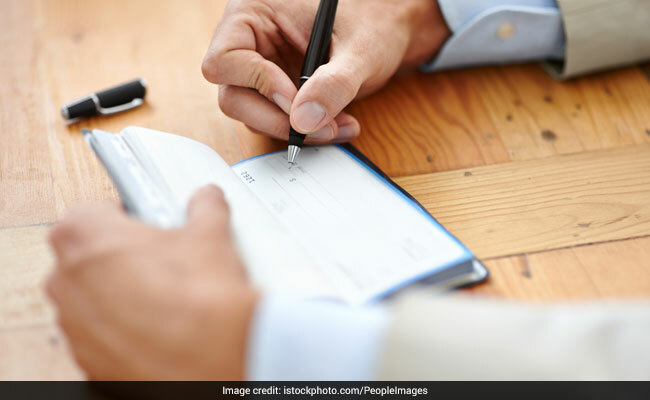 Accounts holders of State Bank of Patiala, State Bank of Bikaner and Jaipur, State Bank of Raipur, State Bank of Travancore, State Bank of Hyderabad and Bhartiya Mahila Bank will have apply for the new cheque books and IFS codes. SBI also stated that the old cheque books and IFS codes of these six banks will not be valid after September 30. Users can avail the new cheque books via internet and mobile banking, ATM or by visiting the home branch. Last week, SBI also clarified that charges for non-maintenance of monthly average balance does not apply to all its bank accounts. The corporate salary accounts, small and basic savings bank deposit accounts and accounts opened under the Pradhan Mantri Jan-Dhan Yojna are exempted from maintaining the monthly average balance. Out of the 40 crore savings bank accounts that SBI has, 13 crore accounts fall under these exempted category, the state-owned lender said. The lender stated that those who want to avoid paying the monthly average balance non-maintenance charges, they can convert their savings accounts into basic savings bank deposit accounts without any cost. It currently charges a penalty of up to Rs 100 (plus GST of 18 per cent) per month for not maintaining the minimum balance in savings bank accounts. Customers holding SBI savings bank accounts in metro, urban, semi-urban and rural branches need to pay different penalty amounts for non-maintenance of monthly average balance.